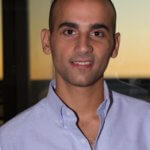 Randy Rayess is the cofounder of Outgrow, a growth marketing platform focused on increasing customer engagement and boosting demand generation through highly converting calculators & viral quizzes. He is passionate about demand generation, content marketing and personalized marketing. He also cofounded VenturePact and previously worked in private equity at SilverLake Partners, in machine learning and in payments.